WASHINGTON CITY —As a part of plans to connect Washington Parkway to the northern end of Green Springs Drive, an open house is being held Thursday in Washington City to take public input on the project. “It gives people a chance to give their opinion on the parkway and what they would like to see,” said Mike Shaw, Washington City’s public works director. The project has been in the works for a while, with $4.2 million in funding gained through the Dixie Metropolitan Planning Organization over the last year. The overall project is estimated to cost $6 million. Reasons for connecting the roads include providing residents of the Green Springs area with a second access to Interstate 15 at the Washington Parkway/Exit 13 interchange, as well as taking a little more pressure off the Green Springs/Exit 10 interchange. The first phase of the build will feature two lanes of traffic in either direction and a 22-foot wide center median, Shaw said. Future improvements to the roadway will be added by developers as the area grows. The route for the Washington Parkway extension has already been cut though the area and graded by the city. People currently use it a dirt road, Shaw said. 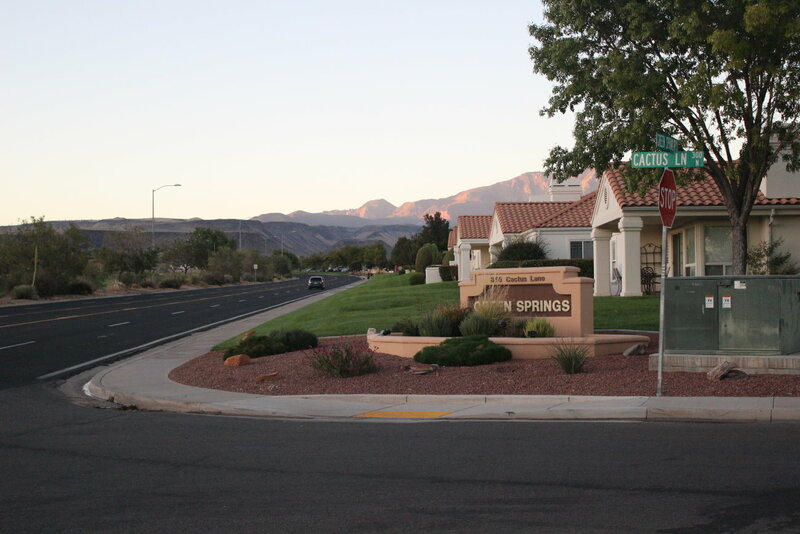 The Washington Parkway-to-Green Springs Drive extension will also serve as the eastern connection point to the pending and contested northern corridor through the Red Cliffs Desert Reserve. The establishment of the corridor is currently the subject of legislation in the U.S. House and Senate. Thursday’s open house is part of an overall environmental impact study required by federal planning regulation, Shaw said. If all goes well, the city may be able to put the project out to bid in the near future, he said. The open house will be held Thursday from 5-7 p.m. at the Washington City Offices at 111 N. 100 East in Washington City. Ed. note: The article originally listed the wrong day of the open house and has been corrected. No dog in this one but is there even a point in going to a meeting? The road already exists. It’s just not paved yet.